In a Nutshell: When the economy declined during the Great Recession, founder Jeff Kaplan taught friends and family how to get more ‘bang for their buck’ by using coupons to cut down grocery bills. Founded in 2009, LOZO makes it easy for consumers to save in two steps: first, by entering their grocery list at LOZO.com, then instantly receiving matched, ready-to-use coupons through the Grocery Bundler. On average, consumers can reduce their grocery bill by 20% to 40% every time they head to the store. In 2006, nobody thought the $8 trillion housing market would burst. A year later, the crash’s aftermath trickled into other markets, resulting in the loss of 8.4 million jobs in the U.S. For the first time since the Great Depression, Americans became concerned about paying for bills — and even buying groceries for their families. This was Jeff Kaplan’s concern when the Great Recession affected his friends and family. He watched them struggle financially, especially with paying groceries bill. After learning how to ‘get the most bang for his buck,’ Jeff teamed up with his brother Dan and family friend Andy to create a simple online resource that would help people save money on groceries. 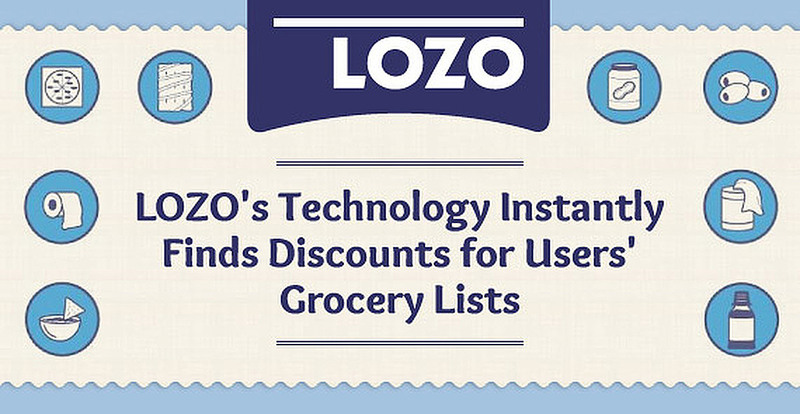 LOZO, a free site that matches thousands of coupons to shoppers’ grocery lists, was the solution. After the site was launched, friends and family were able afford groceries — and even save 20 to 40% each trip to the store. Soon LOZO was spread by word-of-mouth, and thousands of shoppers flocked to the site to find coupons, too. Seven years later, LOZO continues to help shoppers save on groceries every week, one matched coupon at a time. Jeff had always been a saver. With 15 years of retail experience at McKinsey & Company, Ann Taylor, and Proctor & Gamble, he insisted on doing the grocery shopping for his wife and three kids. He knew the ins and outs of how to save the most on items, unlike most consumers. When the economy declined in 2008, Jeff was inspired to share his insider tips with friends, family, and, eventually, the public. “We thought,‘Why not share what we know with them about saving money?,'” Jeff said. Hailing from a line of male couponers (starting with his grandfather and continuing with his 9-year-old son, Sam), Jeff, Dan, and Andy launched LOZO with immediate success. The site’s couponing phenomenon was featured on “Good Morning America,” “The Dr. Oz Show”, and TLC’s popular “Extreme Couponing” and gained more users nationwide. 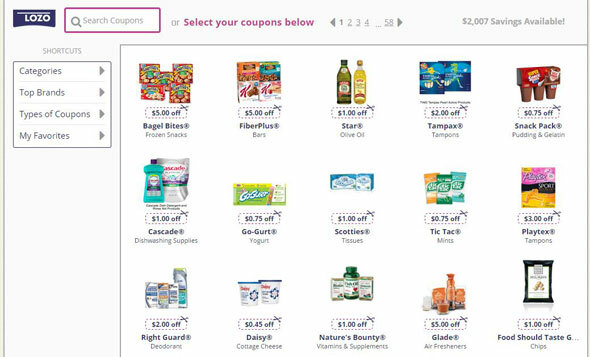 Despite competing with coupon giants, LOZO’s audience steadily grew every year for one specific reason: having easy access to grocery coupons. This three-man show didn’t get lost in the details and stayed focused on helping consumers save, which made them stand out from competitors. Consumers can print grocery coupons within minutes. Jeff and the LOZO team integrated unique coupon technology into the site, so shoppers could easily access coupons faster. As the heart of LOZO’s money-saving resource, the Grocery Bundler allows users to easily browse through more than 1,000 grocery coupons daily. Acting as a personalized search engine for finding great deals, this innovative tool searches for coupons from more than 400 websites and lists them in one location. All consumers have to do is enter their list of groceries at LOZO.com, then the Grocery Bundler will start matching coupons to the products. The Grocery Bundler lets consumers browse and find 1,000+ grocery coupons every day. Shoppers can also have coupons sent to their email inboxes to conveniently access them at the grocery store. Using the Grocery List is the simplest way to do this, especially for new couponers. After entering the items on their list at LOZO.com, shoppers will receive links to coupons within minutes. After the success of quickly finding grocery coupons, Jeff and the LOZO team decided to provide alternative ways for consumers to save. LOZO is home to a robust collection of quick money-saving reads that feature tips and advice. These articles cover more than 70 different categories, such as saving on software with family upgrades and how to pick the right type of IRA. LOZO also has a large selection of online coupons and promo codes, a list that grows every day. Shoppers can grab coupons to save at retailers like 1800PetMeds, Kodak, and Old Navy. The online savings site also maintains an impressive mailing list and alerts shoppers of upcoming sales and deals that match each shopper’s specific preferences. Despite the ups and downs in America’s economy, consumers should never have to worry about putting food on the table for their families; and that’s why LOZO’s arsenal of unique tools makes it easy to track down the coupons needed for an upcoming shopping trip. Along with a plethora of helpful articles and savings tips, consumers can learn how to become better savers at LOZO.com. Kaplan, his family, and the LOZO team will continue to help people save money, and it’s safe to say that their mission is executed every day for thousands of shoppers.